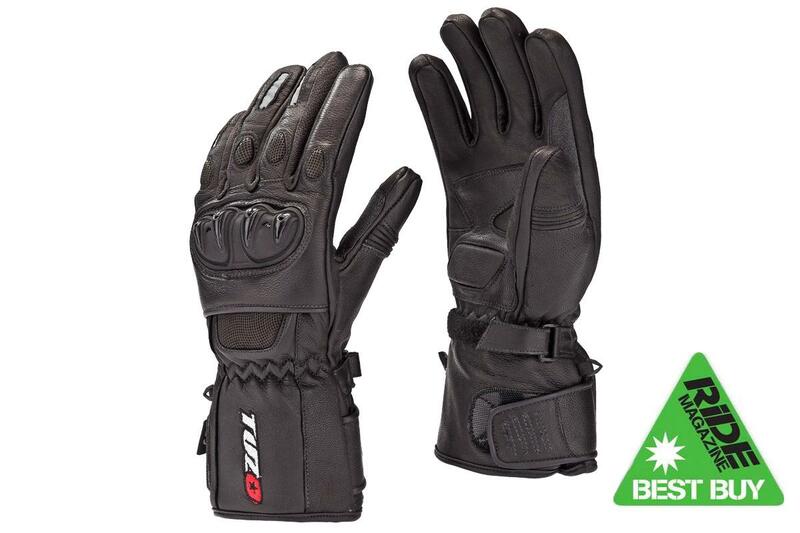 Chunky leather glove is CE marked, with hard knuckle armour and a soft scaphoid protector. Has separate cuff and wrist straps. Passed all our waterproof tests. The tester said the liner gets sweaty when hot, but felt it could be warmer for the bulkiness.